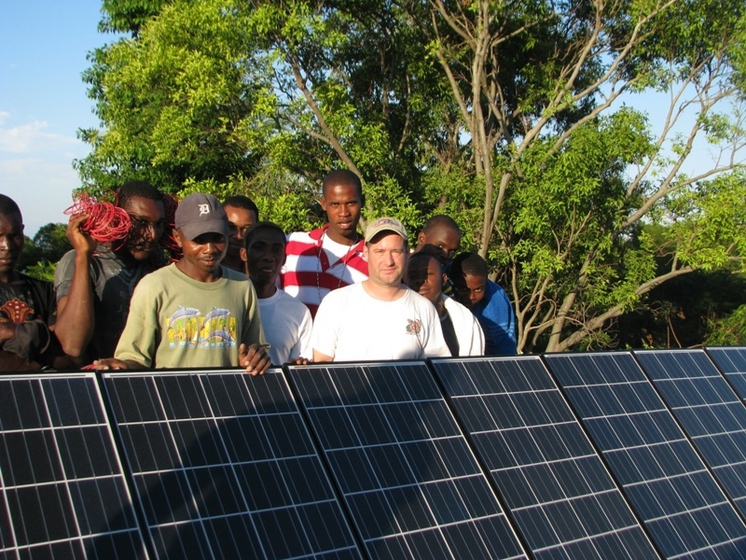 Since his first trip to Haiti seven years ago to install a solar lighting and power system, Associate Director Chad Groshart has been back to the village of Gran Sous twice with his graduate student class from Parsons School of Design. They designed and installed 10 solar powered LED poles which provide public lighting to the town center, the clinic area (where locals line up before dawn to get medical treatment) and several areas where trucks pick-up people for the 2-hour ride to the wharf. Partnering again with Roots of Development, a 501(c)3 non-government organization which has been operating in Haiti for 13 years, Chad and his students went back to the island of La Gonave off the coast of Haiti where 120,000 people live without running water, grid power, or paved roads. The goal was to provide lighting at the wharf area where many hundreds of people queue up in the dark waiting for boats to take them back to the main island at first light. The class designed a lighting and power solution that is renewable and secure against vandalism. With updated equipment information provided by Roots of Development, they sourced locally and installed over the course of a week. Chad and his class stayed with the locals and learned about life without the resources they are used to in the US.